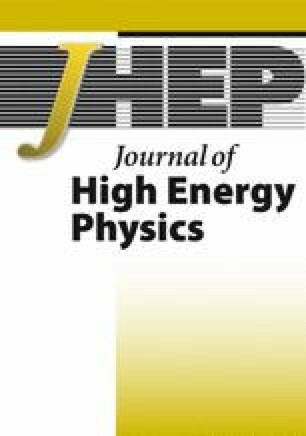 Recently, generalized equations of type IIB supergravity have been derived from the requirement of classical kappa-symmetry of type IIB superstring theory in the Green-Schwarz formulation. These equations are covariant under generalized T -duality transformations and hence one may expect a formulation similar to double field theory (DFT). In this paper, we consider a modification of the DFT equations of motion by relaxing a condition for the generalized covariant derivative with an extra generalized vector. In this modified double field theory (mDFT), we show that the flatness condition of the modified generalized Ricci tensor leads to the NS-NS part of the generalized equations of type IIB supergravity. In particular, the extra vector fields appearing in the generalized equations correspond to the extra generalized vector in mDFT. We also discuss duality symmetries and a modification of the string charge in mDFT. L. Wulff and A.A. Tseytlin, κ-symmetry of superstring σ-model and generalized 10d supergravity equations, JHEP 06 (2016) 174 [arXiv:1605.04884] [INSPIRE]. H. Kyono and K. Yoshida, Supercoset construction of Yang-Baxter deformed AdS 5×S 5 backgrounds, PTEP 2016 (2016) 083B03 [arXiv:1605.02519] [INSPIRE]. W. Siegel, Manifest duality in low-energy superstrings, hep-th/9308133 [INSPIRE]. A.A. Tseytlin, σ Model Weyl Invariance Conditions and String Equations of Motion, Nucl. Phys. B 294 (1987) 383 [INSPIRE]. V. Iyer and R.M. Wald, A Comparison of Noether charge and Euclidean methods for computing the entropy of stationary black holes, Phys. Rev. D 52 (1995) 4430 [gr-qc/9503052] [INSPIRE]. J.-H. Park and Y. Suh, U-geometry: SL(5), JHEP 04 (2013) 147 [Erratum ibid. 1311 (2013) 210] [arXiv:1302.1652] [INSPIRE]. O. Hohm and H. Samtleben, Exceptional field theory. II. E 7(7), Phys. Rev. D 89 (2014) 066017 [arXiv:1312.4542] [INSPIRE]. O. Hohm and H. Samtleben, Exceptional field theory. III. E 8(8), Phys. Rev. D 90 (2014) 066002 [arXiv:1406.3348] [INSPIRE]. G. Aldazabal, W. Baron, D. Marques and C. Núñez, The effective action of Double Field Theory, JHEP 11 (2011) 052 [Erratum ibid. 1111 (2011) 109] [arXiv:1109.0290] [INSPIRE].